One of the most beautiful cities in the world, Venice is known for its beauty, architecture and artwork. Venice has many names that do it little justice – the City of Bridges, the City of Masks and the City of Canals, amongst others. A link between 117 small islands in a marshy lagoon along the Adriatic Sea, Venice has enjoyed a fantastic history of vibrant culture, power and aristocracy. The city is a picture at any time of the day, a fantastic holiday destination for people of all ages. From romantic couples to families and even business travellers, Venice is a dream destination that sees millions of people coming in from all over the world. Venice is a fantastic place to be in all throughout the year, especially in winters. The summer highs reach about 270C while the winter lows go down to around 30C. The sub-tropical climate and proximity to water means that there is regular rainfall spread throughout the year. Venice is all about its history. The city is a fantastic accumulation of European history and culture, combining centuries of art, architecture, music, dance and other forms of visual and performance arts. 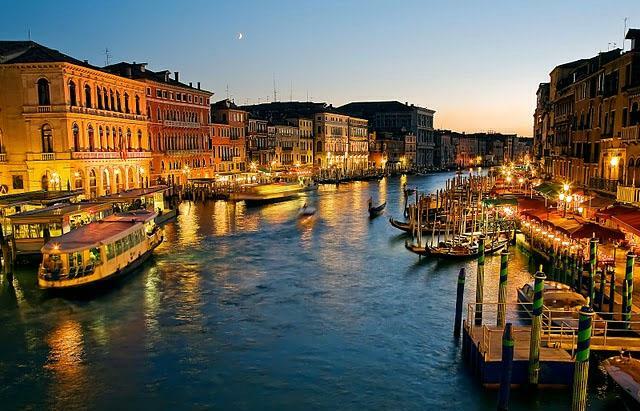 Venice has been a major port in the European past, and a popular destination for many artists, performers and others. This led to a massive movement of people, from Europe’s cultural capitals, into Venice. The city has retained its charm and culture, with plenty of entertainment, food, wining and shopping options. Venice city is a haven for shoppers & fashion lovers and even though the city has just the “Roberta di Camerino” brand to boast off, as a local designer from the city. However, you can access almost all designer stores within the city. 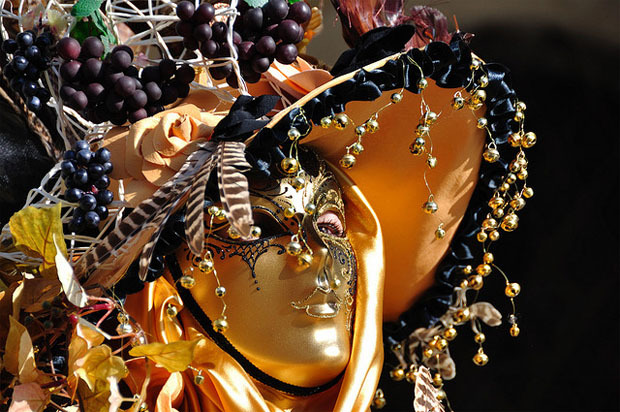 Venice is also known for its masks and the beauty of the Carnival of Venice. The city of Venice is built for long walks, Gondola-rides along its canals and pleasant shopping sprees interspersed with fantastic food and vibrant entertainment. That is the city known as the “Queen of the Adriatic”. 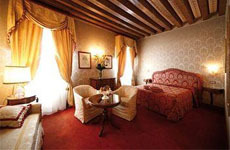 The Savoia & Jolanda Hotel is one of the most centrally located hotels in all of Venice. 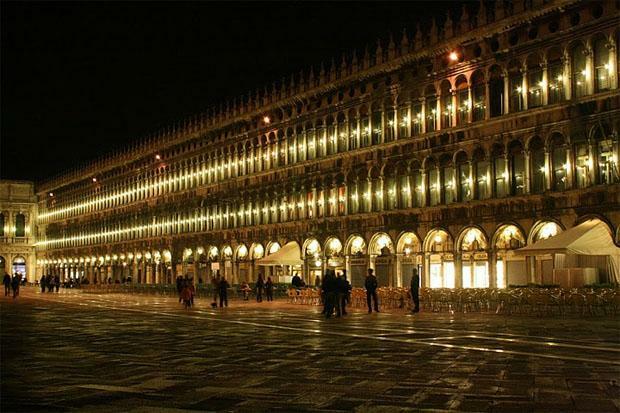 The hotel lines up along the Riva degli Schiavoni, minutes away from St. Mark’s Square. That means shopping and fine dining options are hardly the issue for guests at the Savoia & Jolanda hotel. The hotel is also in the middle of Venice’s transportation heart, San Zaccaria, and is minutes away from Marco Polo airport, the Santa Lucia train station and the Tronchetto. The Savoia & Jolanda Hotel is, in terms of interior & exterior design, typically Venetian. While offering views of St. Mark’s Square and the Grand Canal, from its 73 guest rooms, the hotel has a variety of restaurants serving all kinds of dishes in guests’ rooms, dining rooms or even out on the terrace. Proximity to the city’s centre makes the Quality Hotel Delfino Venezia Mestre one of the most popular guest-stops in Venice. Within seconds of Treviso and the Riviera del Brenta, the hotel offers its guest fantastic access to the entertainment, shopping and food hub of the city. Accessible by public transport, the hotel has Venetian décor combined with modern amenities like a wonderful restaurant, a brilliant bar, comprehensive business and meeting facilities along with numerous public and private spaces for guests of all kinds. A change from the regular Venice-hotels and architecture, the Best Western Hotel is a modern interpretation of the delightful culture & power of Venice’s beauty. It is close to the Lagoon as well as to downtown Venice, while places like the Bologna Mestre are within moments’ walk from the hotel, giving access to its plethora of restaurants and shops. The hotel, recently renovated, offers delectable food at its on-site restaurant DaTura, which offers traditional cuisine as well as some delightful European fare. The hotel can hold between 15 to 150 people in its convention halls & meeting rooms while also offering a bar to relax after a day’s work or sightseeing.